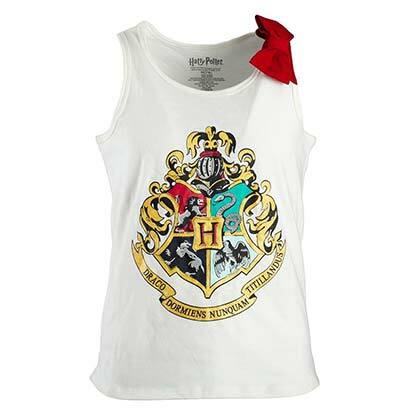 Officially licensed girls 7-16 tank with Hogwarts crest from the Harry Potter series. Includes sewn-in bow detail. 100% cotton. Hi-low hem.